Porsche decided to branch out of sports cars and move into the luxury SUV market in 2002 with the launch of the Cayenne. Over this 12-year span, nearly 600,000 of these premium SUVs have been sold! Visit Town Porsche and test drive a new 2015 Porsche Cayenne today! We are located in Northern NJ, in Bergen County just minutes from New York City. Please come visit us at 105 Grand Ave, in Englewood NJ 07631. 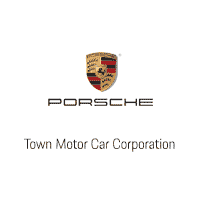 Your Friends at Town Porsche look forward to seeing you!